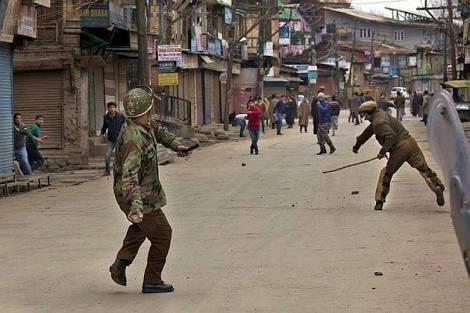 Yet again Kashmir continues to simmer following the killing of a militant, Burhnan Wani & the emotionally charged up funeral procession where tens of thousands assembled. In the wake of protests; 34 die. How long would this go on& how many have to die before ‘we’ can find a solution to the ‘Kashmir problem’? It has always been more than some cross- border ‘terrorism’ in the valley. Locals taking up arms against the state were never a queer phenomenon. The problem is willful denial by the Indian & Pakistani state that people of Kashmir are the biggest stake- holders here. For all the harangues & jingoistic homilies in India, Kashmir is a ‘political problem’ which needs immediate redressing. Worsening human rights record of the security forces & the continued enforcement of AFSPA; a contemptible authority given to the armed forces wherein they may treat ‘disturbed areas’ as a ‘theater of war’ thus, having unprecedented immunity from any legal action on their conduct, continues to fuel militancy in the region. The current PDP- BJP coalition ruling the state is often seen as a venal alliance that has done little to address people’s grievances; mired in the game of outwitting each other, the alliance partners have done little to contain violence as it continues to spiral. One may only wonder who’s in charge here. The CM, India’s PM or the armed forces. Meanwhile, Britons may finally sigh in relief as PM David Cameroon gives way to Theresa May, who’s to become the second woman after Margret Thatcher to hold the top post. May, a ‘remain in EU’ supporter & the interior minister has her task cut out. She’ll have to reconcile opposing camps within her party & find a way out of the Brexit quagmire. 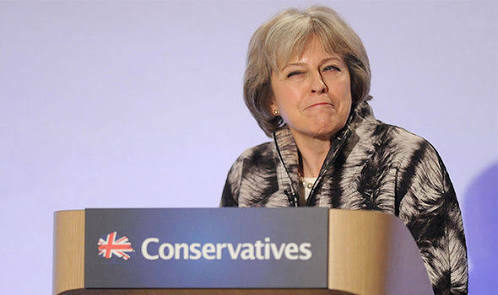 Britain’s future relation with the EU, access to the free market, the position of Britons in the EU & European nationals in the UK would be high on her radar. With the Brexit camp led by Boris Johnson & Nigel Farage cringing when pressed by harder questions of a post Brexit Britain, it remains to be seen whether reactionary movements across Europe led by Marie Le Pen’s National Front in France & Austria’s Freedom Party would thrive any longer.